KCET Syllabus 2019 Pdf: Karnataka Examination Authority (KEA) will conduct KCET 2019 for candidates seeking admission in to various streams of engineering programme. 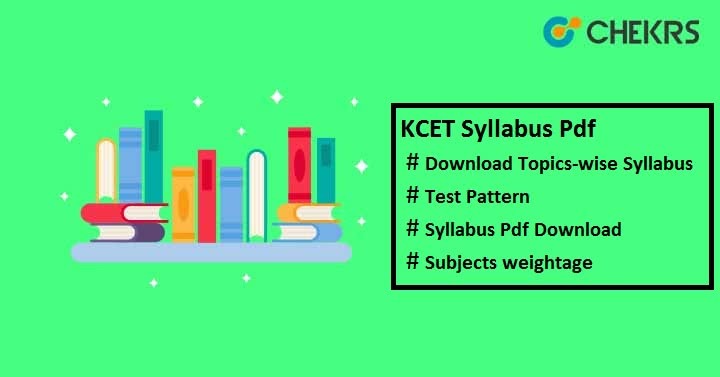 Candidates looking for the exam syllabus need not to worry as we are providing syllabus along with the KCET Exam Pattern. If you are applying for BTech (Food Technology/ Agriculture Engg/ Dairy Tech), then you will have to study Physics, Chemistry, Mathematics & Biology. Candidates applying for BTech/ BE can go for PCM topics. KEA will set the exam pattern for KCET. Candidates can check the KEA CET Exam Pattern here to get familiar with the paper pattern & exam. Also Check Sample Paper Here: KCET Sample/Model Papers. For more update on KCET Syllabus 2019 Pdf and exam pattern, keep visiting our site. In the case of any query, drop your question in the commenting section below. All the best!! !